Congress president Rahul Gandhi speaking to reporters in Wayanad on Thursday. 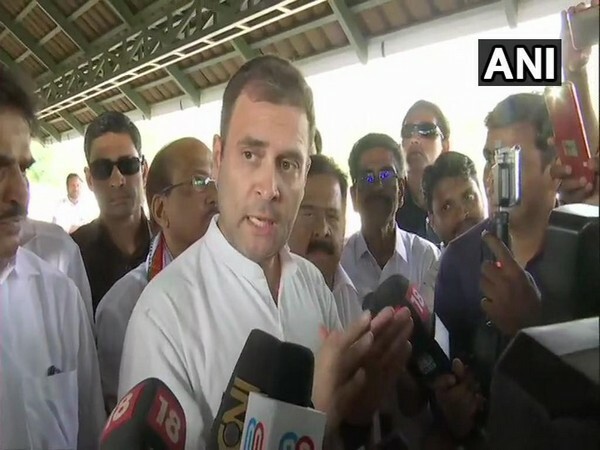 Wayanad (Kerala) [India], Apr 4 (ANI): After filing his nomination papers for the Wayanad parliamentary constituency, Congress president Rahul Gandhi on Thursday vowed not to utter a word against the ruling CPI-M during his electioneering and said he was in the state to send a "message of unity". "The CPM and Congress are locked in a fight in Kerala. I understand that my brothers and sisters in CPM will now speak against me and attack me. I am not going to say a word against the CPM in my entire campaign. I am here to send a message of unity," he told reporters here. On March 31, the Congress had announced that Rahul will be contesting from Wayanad seat in Kerala along with his traditional bastion Amethi in Uttar Pradesh to further strengthen the unity of north and south. However, the move had upset the Left in Kerala, saying it was against the Congress' national commitment to defeat the BJP and vowed to defeat the grand old party in the ensuing Lok Sabha elections. "To pick a candidate like Rahul Gandhi against Left means that Congress is going to target the Left in Kerala. This is something which we will strongly oppose and in this election, we will work to ensure the defeat of Rahul Gandhi in Wayanad," CPI-M general secretary Prakash Karat had told ANI. "The decision of Congress to field Rahul Gandhi from Wayanad shows their priority now is to fight against Left in Kerala. It goes against Congress' national commitment to fight BJP, as in Kerala it is LDF (Left Democratic Front) which is the main force fighting BJP there," he added. While defending his decision to contest from two Lok Sabha seats, Rahul said that he came to Kerala to send a message as there was a feeling in South India that there was an attack on culture and languages, according to him, by the BJP and RSS. "I have come to Kerala to send a message that India is one, be it North, South, East or West. My aim is to send a message. 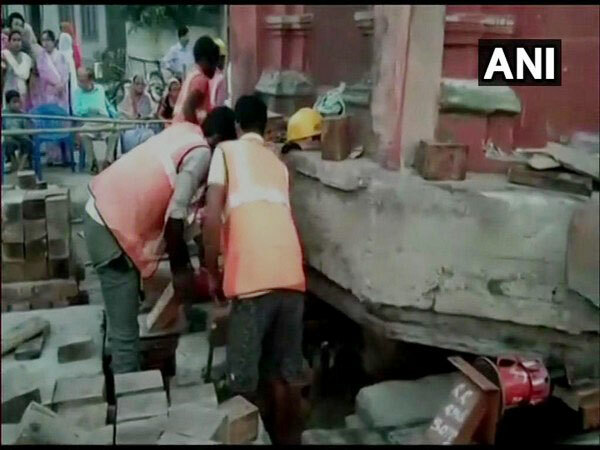 There is a feeling in south India that the way Centre, Narendra Modi ji, BJP and RSS are working like an assault on culture and languages in the South," he said. He asserted that the two main issues in the elections were jobs and farmers and took a swipe at the Prime Minister, saying that Modi failed in both the fronts. Saying that farmers are doubtful about their future prospects, Rahul said, "Youngsters are running from state to state. Narendra Modi has failed on jobs and farmers". Raking up the controversial Rafale deal again, Rahul further said, "On corruption, the country had faith in the Prime Minister when he said that he will be the 'chowkidar' (watchman). The fact of the matter that the chowkidar himself has given Rs 30,000 crore of Air Force money to Anil Ambani." "Anil Ambani has no experience in making any aircraft. Why is the man been given the most defence contract in the country?" he added. Businessman Anil Ambani has repeatedly refused the allegations.